Identifying a government's proper function is the point of a specific political ideology. But the term "statism" designates only a level of government control. Statism can encompass Nazism, Islamism, Communism, or any other ideology that seeks an authoritarian state. Nazis, Islamists, and Communists tend not to like each other and would each point out that their respective statist ideologies are fundamentally opposed to the others. But if one regards the concept of statism as legitimate package deal under which to broadly categorize Nazis, Islamists, and Communists, then one must omit the ideological content and focus on the issue of how much government control is being advocated. I don't think anarchism qualifies as a form of statism. But to be clear, I also don't think anarchism is a desirable alternative to statism. ruveyn, I have to correct you when you wrote: "The racists seize upon trifles and trivialities. S. J. Gould in his paper -The Mismeasure of Man- deconstructed their nonsense thoroughly and scientifically. There is absolutely no scientific basis for asserting one sub population of the human races is somehow smarter or better than another just on the basis of genetic inheritance." Gould has been exposed as a fraud. The "racists" whom he sought to refute have been proven correct in their findings showing racial variations in cranial measurements. This, according to the New York Times: http://www.nytimes.com/2011/06/14/science/14skull.html?_r=3&ref=todayspaper Ample evidence points to genetic differences among human sub-populations that extend to the brain. It would be highly implausible in Darwinian theory if there weren't any such differences. They are as natural as differences in hair texture -- adaptations over periods of the races being cut off geographically from one another and inhabiting disparate environments. Genome-wide association studies establish that human intelligence is highly heritable and polygenic General intelligence is an important human quantitative trait that accounts for much of the variation in diverse cognitive abilities. Individual differences in intelligence are strongly associated with many important life outcomes, including educational and occupational attainments, income, health and lifespan. Data from twin and family studies are consistent with a high heritability of intelligence, but this inference has been controversial. We conducted a genome-wide analysis of 3511 unrelated adults with data on 549 692 single nucleotide polymorphisms (SNPs) and detailed phenotypes on cognitive traits. We estimate that 40 % of the variation in crystallized-type intelligence and 51 % of the variation in fluid-type intelligence between individuals is accounted for by linkage disequilibrium between genotyped common SNP markers and unknown causal variants. These estimates provide lower bounds for the narrow-sense heritability of the traits. http://www.nature.com/mp/journal/v16/n10/full/mp201185a.html A strong heritability component to intelligence -- which is now proven, established science -- would not square with the degree and persistency of observed racial variation in intelligence unless the heritable traits for intelligence also vary by race. We know that traits for brain size vary by race, and that these variations line up exactly with variations in measures of intelligence. In fairness to Ayn Rand, most of this evidence was unavailable to her when she was formulating her views on race and genetics. The relationship between brain size and intelligence isn't 1:1. Also relevant is the relationship between brain size and body mass. An elephant's brain is larger than any other land mammal's. But its brain is small in relation to the size of the elephant's other organs. A woman's brain is slightly smaller than a man's, but it's proportional to a woman's smaller body size overall. With a white male as compared to a black male of equal height, the white male is likely to have a larger brain and more intelligence. Anthropologists have no problem inferring relative intelligence levels from fossil records of ancient human ancestors. But when it comes to modern-day humans for whom we have precise measures of brain size and brain performance (as indicated by IQ tests), causal inferences are subjected to manufactured skepticism or are simply deemed to be off limits based on idealistic egalitarian ethical codes that would collapse upon a recognition of reality. I appreciate the feedback! Some responses: Race is defined here in plain English: "A group or population of humans categorized on the basis of various sets of heritable characteristics..." (http://www.biology-online.org/dictionary/Race). The difficulty in precisely categorizing varieties of humans does not invalidate the concept, anymore than the color spectrum or geographical features are invalidated by ambiguity. Post-modernist and deconstructionist views of race are anti-conceptual and politically motivated. I agree with Rand that ideas and culture are not inherited. But the hardware for acquiring and expressing them is. Scientists believe that general intelligence in adults is about 75% heritable. If 75% of the explanation for racial IQ gaps within a country (not comparing people in first-world to those in third-world countries) is genetic, then the odds of blacks ever catching up to whites and Orientals are practically zero. I hold that this IQ gap, being more than a full standard deviation, is socially significant. Whites and Asians carry remnants of neanderthal DNA. Africans do not: http://lightyears.blogs.cnn.com/2011/07/26/feeling-like-a-neanderthal-heres-why/ Africans have smaller average brain size. Brain size is positively correlated with intelligence: Studies of brain size, including those using MRI, show a correlation of 0.40 with IQ. Substantial population differences exist in brain size that parallel the IQ differences. In average cranial capacity (cm3), East Asians =1364; Whites =1347; and Blacks =1267. Since every cubic centimeter of brain tissue contains millions of brain cells and billions of synapses, the race differences in brain size help to explain the race differences in IQ (http://www.charlesdarwinresearch.org/Templer%20&%20Rushton%202011%20Intelligence.pdf) Affirmative Action demands equal social outcomes on the premise of innate equality. That premise is false, and advocates of individual rights should not shy away from naming it as such in order to destroy the foundation on which racial egalitarians make their political demands. The following essay is a revised, condensed version that I am here sharing publicly for the first time. I invite criticism. On Ayn Rand on Racism Ayn Rand repudiated collectivism in all forms, but she reserved her most strident and sweeping condemnation for what she regarded as collectivism applied to racial identity. She wrote, “Racism is the lowest, most crudely primitive form of collectivism. It is the notion of ascribing moral, social or political significance to a man’s genetic lineage…” According to Rand, asserting that race carries moral or social (which subsumes political) significance constitutes racism. A Black Panther who advocates killing white babies is surely, then, a racist, insofar as he regards whites as morally less deserving of a right to life than blacks. But a racist in Rand’s lexicon, as in the Orwellian lexicon of political correctness, could potentially also be one who studies racial variation honestly and in full context, taking into account aspects of it that are socially significant. An evolutionary biologist who offers an explanation for the disproportionate success of sub-Saharan Africans in competitive sprinting, based on their longer limbs and higher centers of gravity as compared to other races, risks facing the same charge as a militant Black Panther: racist. Racial variation in athletic ability arguably doesn’t – or shouldn’t – carry much social significance. But intelligence – the very attribute that distinguishes the human species from all others and makes wealthy, free societies possible – surely is socially significant. A geneticist who seeks to identify markers for East Asian aptitude in mathematics, or for Europeans’ higher scores on tests of verbal ability as compared to Africans, today is likely to be branded a racist regardless of whether the findings are objectively true. The geneticist will be condemned not for ascribing moral superiority to any one race over another, but simply for making an assertion of fact pertaining to the distribution of genes that code for cognitive capacity. The only way a geneticist or an evolutionary biologist can be sure to avoid being the target of a “racist” epithet coming from the politically correct thought police is to profess a belief that cognitive capacity is distributed roughly equally among all branches of the human species, in spite of: the fact that biogeographical branches, or races, of humanity possess characteristic, measurably distinguishable skull morphologies that affect brain size and structure; the impossibly low probability in evolutionary theory that cognitive adaptations would be exempt from the same adaptive processes that formed variations in physical traits; the consistency and persistency of racial IQ orderings around the world that no real-world combination of cultural, political, and economic influences has proven capable of reordering. It’s not that the weight of the evidence augers against the premise that all races are equally equipped cognitively. It’s that there is no evidence to weigh in consideration of the equalitarian hypothesis even being plausible. Equalitarianism is pure idealism. There isn’t a single nation, a single city, a single school district anywhere in the world where black students perform at or above white and Oriental students on average. Yes, some individual blacks do excel academically. Cognitive capacity, as with height, nose width, vocal strength, and other phenotypes, is distributed in a range that approximately takes the shape of a bell curve for both blacks and whites, respectively. The bell curves for blacks and whites overlap, so there is a fair chance that a random black person would be more intelligent than a white person selected at random. But there is virtually no chance that a large population of blacks would be endowed with mental hardware that functions on par with a large population of whites. The average IQ score of blacks in the U.S. is slightly more than one full standard deviation lower than the average for whites. The IQ gap has held steady for as long as it has been measured – even going back to the days of segregated schools – increasing modestly in some years and decreasing modestly in others. Averages matter because, while not deterministic on an individual basis, they do carry predictive power for the prospects of nations, cities, neighborhoods, etc. When deciding whether an area is a desirable one in which to raise a family, averages matter more than particular assessments of individual neighbors. If a black population were to completely replace a white population in a geographic area (as has nearly occurred in Detroit, for example, which went from 90% white to 90% black in the latter half of the twentieth century), the social consequences would necessarily be significant. They would be as predictable as the consequences of lowering that population’s average IQ by one full standard deviation. From Detroit, to Rio de Janeiro, to London, every non-African city on Earth that has attempted to integrate African populations has experienced varying degrees of these very predictable consequences, which manifest as stark disparities in educational, economic, and crime metrics. The idealists expect what they’ve been expecting for decades: that which never has been and never will be. Ever since the landmark 1954 Brown v. Board of Education decision, the idea of achieving substantive racial equality has trumped recognition of racial realities. Leading up to the Brown decision, the neologism “racism” popped into popular discourse. The increasing use of the term coincides with the rise of political correctness, which renders the pursuit of truth inseparable from and subservient to ideological imperatives. A racist in popular parlance is anyone who says anything about race that is socially unacceptable. What makes one a racist is vague, subjective, ever-changing, and ultimately ungraspable. The arbitrariness of the term means anyone can hurl an accusation of racism against anyone on virtually any grounds. If the term ever functioned as a valid concept, Rand failed to articulate it. Instead, she conceived of racism as being anything that ties race to moral or social significance. This amounts to a mis-integrated package deal. 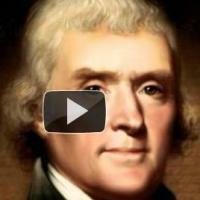 The reason why is illustrated by the ideas of Thomas Jefferson. The man who penned, “All men are created equal” didn’t intend to imply what modern-day egalitarians believe: that nature endowed all races with equal attributes. To the contrary, Jefferson believed that blacks were “in reason much inferior” to whites. But he regarded blacks as the equals of whites morally, as far as their basic rights as human beings were concerned. Jefferson would have found the attempt to lump into a single concept a principle establishing moral equality with one prescribing innate equality in intelligence to be strange and unenlightened. Observations of human attributes are either accurate or inaccurate, irrespective of any notions of morality. As Jefferson urged, “Follow truth wherever it may lead.” A conclusion that racial disparities in intelligence are explainable largely by racial genetics is not a normative assertion. It either corresponds with reality, or it doesn’t. Either the adaptive process over hundreds of thousands of years created unique physiological variations within geographically isolated branches of the human species that extend to their respective brain development, or it didn’t. The truth can’t be deduced from moral proscriptions against racism, however one wishes to define it. The truth about race is that which corresponds to reality of race. Efforts to demonize discussions of the social significance of racial lineage are tantamount to efforts from religionists of centuries gone by to prevent astronomers from informing the masses that Earth isn’t the center of the universe. Those who hurl the charge of “racist” against those who merely identify biological origins and properties of human races are, in effect, declaring that they regard nature itself as racist. They take their idea of racial equalitarianism as a metaphysical starting point and condemn those whose grounding is in a reality that doesn’t conform to idealistic impositions. Racial differences that are more than skin deep inevitably do manifest in ways that are socially significant. Blacks aren’t immoral for carrying genes that endow them with less brain capacity than whites on average; nor are people who identify this fact of reality. Blacks aren’t heroic for carrying genes that give them superior running speed; nor are those who substitute an idea of innate racial equality for the racial variation that is metaphysically given. In attempting to package two disparate standards by which racism could be identified – ascription of moral or social significance – into a single concept, Rand created an anti-concept. Without objective, conceptually essential criteria for differentiating a racist from a non-racist, “racist” has no clear meaning other than that of a vacuous insult, which is what the term as it's popularly used, overused, and abused to no end today, functions as.